← RC Lens v Arsenal: Starts for Chambers, Gnabry, JRA and Iwobi? The Ox’s horns are sharp. Alex played with great hunger and his drive forwards was an inspiration to the team. He produced more than decent attacking play for others, and he leveled the game with a sumptuous chip good old Dennis will certainly approve of. And Gnabry deserve credit for a nice weighted through-ball (even though is overall game did not impress tonight). Early days of course, butAOC’s display and finish will have pleased Arsene tonight. Chambers looked sharp going forward when he was deployed as FB. He linked up well with the Ox and put a few half-decent balls into the box. However, defensively he looked less secure and let’s hope this is simply due to rustiness. Theo did not impress much. He did not lead the line in such a way that inspired his younger team mates and his timing and positioning in the box were nothing to write home about. Again, it is early days and let’s see how he will fare during our North American friendlies, but he will need to step up significantly if he is to remain in Arsene’s mind for regular starts. Iwobi looked lively and confident and he played some fine through-balls; let’s hope he can build further on his impressive PL debut at the end of last season. Without a ‘holding CF’ we lacked structure in our game as our creative midfielders seemed to struggle putting their stamp on the match without having the benefit of linking up with someone in and around the box. However, the arrival of Zelalem saw us play more intelligently, passing and holding on to the ball better and also making better runs in and around the box. Had the game lasted ten minutes longer, I am sure we would have won it. Zelalem is a very promising talent and let’s see how he will do during the remaining pre-season games. Joel Campbell, Kieran Gibbs and Per Mertesacker tried hard to put their stamp on the game but they were all still a bit rusty. Especially Kieran will have to use these opportunities to convince Wenger that he is more than a decent bench warmer. But I loved his attitude and some of his attacking play was promising. Matt Macey looked composed and made a very decent safe half way through the second half. I never saw him play before but first impressions are good. How hard is it though for a GK to break through at a club like Arsenal? Wenger looked rested and driven during his break time interview and that is always nice to see. These are my initial impressions; what are yours? To business. The first half lacked cohesion. There was a clear difference between a team who is only a week away from their first league game, and the other, who were basically a collection of players straight from pre-season training. This was particularly true up front. Players who only played together in training, and with their passing game very rusty, did not bode well against a well organised defence. At the back we looked quite reasonable for this time in a new season. Effort and commitment no problem. In play however, there was an over commitment to support the disjointed attack, which eventually cost us. Martinez: Not at fault for the Len’s goal. In fact he made a good parry when the Len’s striker was one on one, and tried to slip a ball past him from a tight angle on the right. Alas, no back up behind Martinez. Mertersacker: He will be slated for his lack of pace, so cruelly exposed by all and sundry getting forward. This is not how we will play him, I hope, should he be the solid guy at the back? However, he showed all his calmness when bringing the ball out of defence. Chambers: Looked the real deal in embryo, as a future CB. A quick ball on the counter exposed his naivety. Instead of heading into the crowd, he nodded it inside. With both FB’s ahead of him, AND his fellow CB struggling to get back, the goal was almost inevitable. Shame for him, because prior to that he look very natural in that role. Monreal: If anything, he looked the least sharp of all. Always high up supporting the attack, as per the plan I suppose. He will be fine with more games under his belt. Debuchy: Man on a mission. He did a lot of hard running down the right flank, but his full on defending was what caught the eye … and that of the referee. Deservedly booked for a second foul in almost as many minutes. His mindset would not have looked out of place if we were in mid-season playing a fired up Chelsea. I suspect he was not playing for a place at the Arsenal? Coquelin: Sharp and combative. Contrary to the above, he was playing for his place. Played the full 90 too. With the high pressing against a fitter and game sharp team, he got through plenty of work. Probably the best performance of all in that first half. Elneny: Sadly, a shadow of the player from last season. The construction of the team ahead of him did not help, but his passing, normally so secure, was woeful this time. He will get better. Up front they just looked like a group of lads that had just met up fore a game on a Sunday morning … and picked at random. Best I just pick out the mitigating circumstances. Iwobi: Worked hard, play some nice passes, but let down when the final ball was needed. Jeff R-A: Had a spell where he looked really good. Strange lack of pace to get by anyone wide, where he might have expected to play. Instead, he was the sidekick to Akpom. He tried to link up but the wires were invariably crossed. He has talent, but looked a bit rusty here. Walcott: Not entirely his fault that he appeared relatively anonymous. Not entirely. He was up against a giant of a CB who snuffed out all threats one-on-one. It was not until late did he get balls played into space … but even then he look like he lacked confidence to make better decisions. Prior to that, poor and misplaced passes did not help his cause. He is better than this showing. Akpom: Had one quick turn and shoot opportunity, but otherwise looked lost. He was guilty of overimpressing, and as such, that calm, Henry-esque, player never got a chance to shine. Strangely, he might have done better with the second half line up which had more structure and purpose about it? This will be just complimenting your post TA, concentrating on the changes in line up. Macey: He has the frame to fill a goal, and the superb save at full stretch played to his strength. However, what was even better came from the corner that followed. Not only did he organise the defence around him, he literally positioned them by clamping them by their upper arms and moving them to the exact spot he wanted. It was like mannequins in a shop window, lol. Top marks for that alone. Keeping a clean sheet and a great save was a bonus. I just hope he is still around when PC retires? Bielik: Bar one misplaced pass to Gibbs, I thought he was impressive. He recovers quickly if the first tackle is unsuccessful. Strokes the ball around, with either foot, in a calm and assured way, and did his prospect of getting game time, should Chambers go on loan to gain more experience with regular play, no harm at all. Gibbs: Seemed a popular outlet ball from defence, but was invariably limited by not having a wide player to interchange with, so he had no option but to turn inside. Hence few opportunities to put crosses in. Solid, and fit as any on show. Chambers: Switched to RB. Again, one error could have cost us the game, but otherwise okay. Oxlaide-Chamberlain: Fully deserves his full title for his MOTM performance. Not just his goal as described above, but for his all around TEAM display. He had a point to prove, and he went a long way towards doing so. The big question is, will it be enough to displace one of the seniors not on display? Secondly, in what position? Gnabry: Having sat out most of last season, for one reason or another, I thought he did show a glimpse of that promise of yesteryear? A bit rusty, yes. A bit on the heavy side, yes, although some of that is his natural build. He did not show much when wide left. Swapped with Ox, and that did nothing for either of their games. In the middle he came alive. Campbell: Another who helped make this a more competitive game. Apart from a few passes that went astray, he also put energy into the game. A real solid performance from someone playing for his place in the squad. Coquelin: Because of the players the above displaced, he dropped back to his deeper DM role and stayed there. Enter the final two subs, and the departure of the hard working Iwobi, and the out of sorts Walcott. Zelalem: The game was crying out for an Ozil, in both halves. The player who could see and execute the killer pass. For the very short time that he was on, Zelalem was that player. His way into the first team is much simpler than most because he only has one player in his way. Ozil. 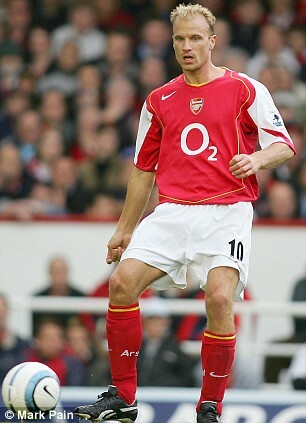 But he also has to overcome something in his game, which I shall call the ‘Arshavin Syndrome’. How can a player who virtually destroyed Liverpool single handed with 4 goals of sublime quality, fall down to a hunch shouldered passenger in such a short time? If he had been played to his strengths it might have been different? Like Zelalem, he needed to be the HUB, from where all things good pass through his feet. Last night Zelalem was that player. In the absence of Iwobi he was the ‘go to’ player. Put him in another game alongside Ozil or Santi, and he will disappear. That is what I think he has to overcome. Keep his concentration when he is not directly involved. He is young enough to do it, and I want to see more of him. A truly great prospect. Willock: Like the above, did not have long to make a case for himself. To be honest, at first he did look a little out of place … but then one moment where he showed his confidence had grown he produced a bit of magic on the edge the box, put a tempting cross in … probably the best of the match, to show he has what it takes a few years down the line? I enjoyed the game. Played mostly in the right spirit, and enough glimpses of what the future holds for the talents on show. Morning Allezkev, Not really that surprising. They need to get the first 11 fit? From that list are you saying Ox and Macey have made it? Seems that Martinez could be our No.3 Gk when either Ospina or Szczesny leave? Thanks for the update Kev. Alexis, Giroud, Koscielny, and Ozil. Plus anyone else I have forgotten … err like Ramsey. Therfore with at least one other signing, maybe two, that is 7 of that list that need to go out on loan, or sold? Cheers for indepth additional review, Gerry. Pretty sure the Ox only played in second half. Thanks TA and Gerry for the review! 🙂 Interesting that for all the chatter on this forum, Sanogo did not feature yesterday or in the provisional list for the US tour. Guess his days are numbered? Okay TA, perhaps MOTM was strong for a player I only mentioned in part two. Would ‘the player who was most effective over the 90 minutes’ suit your sensibilities? But would you be able to unravel the acronym ….TPWWMEOTNM? At least STH and SSG weren’t so picky. Cheers guys.